There are many interesting places here nearby Karratha Western Australia; they are Dampier, Burrup Peninsula, Roebourne, Point Samson, Cossack and Wickham. Below are the story behind this town. Dampier is getting well known after recent story of the Kelpie/cattle dog story a.k.a Red Dog is filmed. The story was so legend. Many people love him and believe as one of the best friend of the Pilbara and Kimberley. Dampier is a major industrial port in the north-west of Western Australia. The Dampier Port is part of the Dampier Achipelago. The port services petrochemical, salt, iron ore and natural gas export industries. Rio Tinto exports large volumes of iron ore through the port, and in September 2010 announced plans to expand capacity. 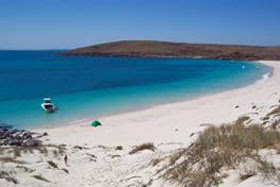 At the 2006 census, Dampier had a population of 1,370. Aboriginal peope including the Yaburara and Ngarluma tribes, have lived in the area for many thousands of years. The town derives its name from the nearby Dampier Archipelago named after the English Buccaneer William Dampier who visited the area in 1699. The town was built from 1965 onwards, to serve the railway transporting iron ore from Tom Price and Paraburdoo By 1968, the further expansion of Dampier had been constrained by geographical factors and the new town of Karratha was established as a result. 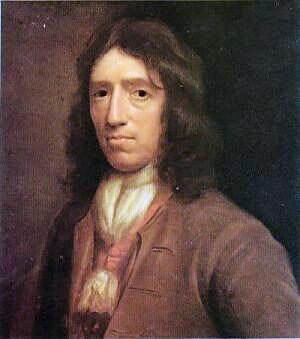 William Dampier born August 1651 at Hymerford House in East Coker, Somerset England; died March 1715 in London, England) was an English buccaneer, sea capteain, author and scientific observer. He was the first Englishman to explore or map parts of New Holland (Australia) and New Guinea and was the first person to circumnavigate the world three times. Diana and Michael Preston, in A Pirate of Exquisite Mind, describe him as the greatest nautical explorer-adventurer, British or otherwise, between the Elizabethans (notably Sir Francis Drake and Sir Walter Raleigh) and James Cook. He has been described by natural scientist Alex George, as "the first natural historian of Australia". 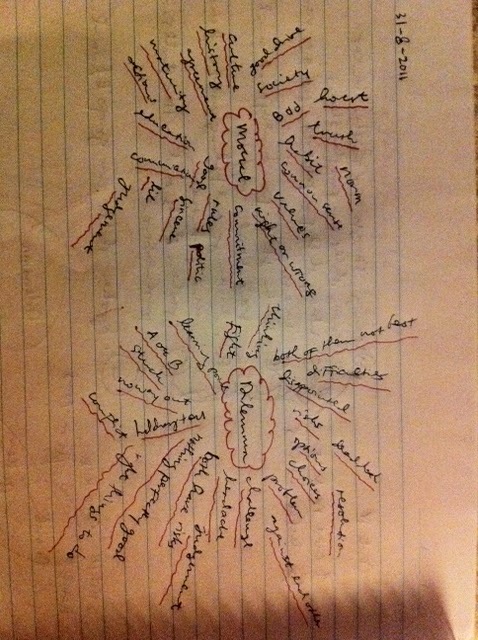 Then connect each word of moral which is in the right side above and dilemma in a way of coming to common sense. This class then completed by working in pairs. Each of us had a story card which was the case of moral dilemma, discuss it by role playing then share it to others. Then i realized, it is not about right or wrong up to the topic but it is how to present something that is happen to you whether you have the resources about them or less. Yes finally I left those boring days. Days of my doctorate. This is the dream that I buried since at least for years spending on books, interview and research. Days with numbers, graphics, curves, debates and thousand cup of tea and coffee, can't count anymore for how much nicotine on these blood. I was a worm, the geek of my own world. But now, yes this moment, I'm riding this old and leaking motorcycle, running on this earth, breathing and absorbing the smell of soil, dead wood and wild flower. Start from this edge of this continent, take all the theory off, no law, no schedule, no appointment, no target, no rush, no sorry, nothing, nothing miserable story. Just me, just do what I wanna do since the day of that promise. Bye dad, bye mom, bye sisters. Sorry I won't back, I'll keep this on and or my walk on. Locals call this as walkabout, but its more then that, it's real journey from this edge to the edge that no one can't have any description. No one know, only one who know this, he is the driver who led me, who come not far from my throat, he is the one, he is me. I am alive now after some temporary death. It's now bit cool in Karratha, the temperature is 27.6°C with winds of 37 km/h, and according to weather forecast temperatures will drop to 15°C tonight. Its unusual cool and windy, while in previous nights were hot. Then my thought went to other friends who were spent the month of fasting here, just a few months ago, huh ... definitely need more patience than usual. Yep, Karratha? where is it? Perhaps not many know. Some residents in Australia, if mentioned Karratha generally will say: "you must have melted there", lol. Well Karratha itself is on the north-west of Darwin. It took 2 hours flight from Perth or 22 hours drive. People say not many things you can do here and apparently yes. This is true if you are hoping that the it same as any other city in Australia such as Perth the sparkling at night, bustling full of people who traveling or shopping. Place where I live less than 5 minutes drive from the city, but do not imagine the big city, it only takes less than 5 minutes to get through the long line of the city on foot. But although small is quite complete, there is a supermarket, there are 2 banks, 1 police station, 1 post office, 1 hospital, a courthouse, a public swimming pool, an airport, a rental DVD/VCD rentals, few ordinary hotel but the price is extremely expensive, a complex of schools, anyway the amount if not 1 then 2. Talking about home this should be a little mending, sits overlooking the Nickol Bay, where the tip of the gulf is lying down from north to south, a promontory that is Burrup Peninsula. Overlooking the bay? it should be beautiful eeh, but did not. Since the height of our house is almost parallel to the surface of the sea, perhaps only a difference of 1 meter above sea level, so her blue bay is not visible, as it is covered by grass or shrubs over 1 meter, which seems only practical Burrup Peninsula which lie in the black at night, or red of iron ore during the day. It took place a few feet higher to enjoy the beauty of Karratha. This is one of the evening i felt relax, enjoying Nickol Bay and the Burrup Peninsula accompanied a glass of hot tea while my tummy is deadly full with steaks. My view falls on the Burrup Peninsula which lies beautifully. This view is occasionally disturbed by traffic plane that landed in the south of Nickol Bay. But it's getting more quiet as the night goes. Imagined once there, the locals (Aboriginal) to paint the rocks, perhaps while frolic in the wind and the moon.According to the Heritage Council of Western Australia in July 2007 more than 700 archaeological sites are stored there, and more than 10,000 rock paintings (petroglyphs). Well thats all for now, enjoy your own journey! It is my new hobby which is actually my old hobby which has transfigured in an attractive way through tech-gagdets, worldwide accesible and share-able. Geocaching basicallly is combination within an outdoor activities; walking, cross country, hiking, MTB, 4WD, orienteering or navigation and completed with cache or treasury. I've been doing most of them since I was in college, but then now completed by geocaching stuffs, ethics and international forum. It is fun, challenging, give more reason to go outdoor and addictive specially for those who love being outdoor. Since i join a couple days ago i have been found 6 caches which is apparently scatered around Pilbara region, Western Australia. Bit envy to the cachers who has achieved thousand of caches around the world. 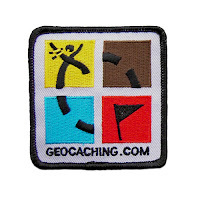 For detail brief of what is Geocaching, you can have a look to this officially video from Geocaching.com.